Jaipur-based interior design and home furnishing portal Houssup has raised an undisclosed amount in seed funding from Mitin Patel, managing director of Prima Automation, and Gaurav Agarwal. The startup will utilise the capital raised to scale its operations and enhance its technology infrastructure, Raghav Mundra, co-founder and chief marketing officer of Houssup told Techcircle.in. As part of the deal, Patel will be joining the board. Houssup, run by Houssup Services Pvt Ltd, is already in talks with a number of investors to raise $500,000 in pre-series A round of funding and plans to raise $2 million in series A funding. "We are bridging the gap between design inspiration and implementation through augmented reality and artificial intelligence," Mundra said. The startup was accelerated at Startup Oasis, a Jaipur-based incubation centre set up as a joint initiative of RIICO, Rajasthan government's industrial promotion organisation, and the Centre for Innovation, Incubation and Entrepreneurship at IIM-Ahmedabad. "While there are multiple players that have helped organise the hitherto unorganised furniture market, the critical problem of enabling the customer to make the decision based on her visualisation of the furniture in the room has only been addressed partially. Houssup is trying to solve that problem," said Chintan Bakshi, COO at Startup Oasis. According to research firm Technopak, the Indian home dÃ©cor market, which stood at $13 billion in 2010, is expected to touch $30 billion by 2020. Houssup competes with online furniture and home design services marketplaces such as HomeLane and Livspace besides other startups in the sector including Intruo, JBR Interio, BedBathMore, mygubbi and Gloob. Livspace, that raised multiple rounds of investments from Helion Ventures, Bessemer Venture Partners and Jungle Ventures, had acquired Dwll.in, an online network of interior designers in May 2015. 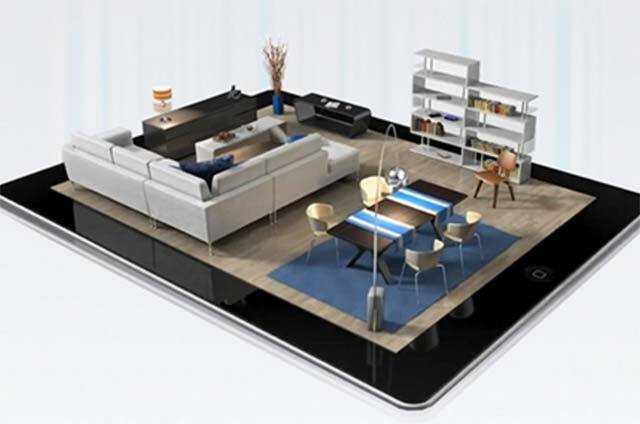 Livspace had also acquired YoFloor, a mobile platform that offers a virtual trial room facility for home designs. Similarly, Sequoia-backed HomeLane acquired home dÃ©cor visualisation platform Doowup in September last year. Houssup offers a variety of interior design templates, browsing through which users can create a mood board according to their taste, get up to five quotations based on the mood board, get the chosen design visualised through its augmented reality gadget before implementation and finally do it themselves or hire an interior designer to complete the project. It claims to have a gross transaction value (GTV) of Rs 26 lakh per month currently and expects to hit a monthly GTV of Rs 12.5 crore in a year's time. The startup was founded by a group of IIT graduates -- Hemant Singh, Devendra Baghel, Shubham Trivedi, Pranjal Gupta, Sameera YVS and Raghav Mundra in January this year.